My internship has not only increased my people skills and own personal confidence but it has helped reinforce my career goals. Everyday I’m excited for the new things that I will learn and have loved everyday. This internship has helped me realize that I’m in the right major and that I’m excited to excel after graduation. Even on the first day I was applying things I had learned in class to to my internship. For example, I was hearing all of these different advertising acronyms and was thinking back to my advertising class and what they mean. A typical day in my internship starts off at 8:45 and checking in with my supervisor. She will either give me an assignment to do or tell me about the meetings I can sit in on later that day. After this I check my email and help out with whatever anyone needs throughout the day. 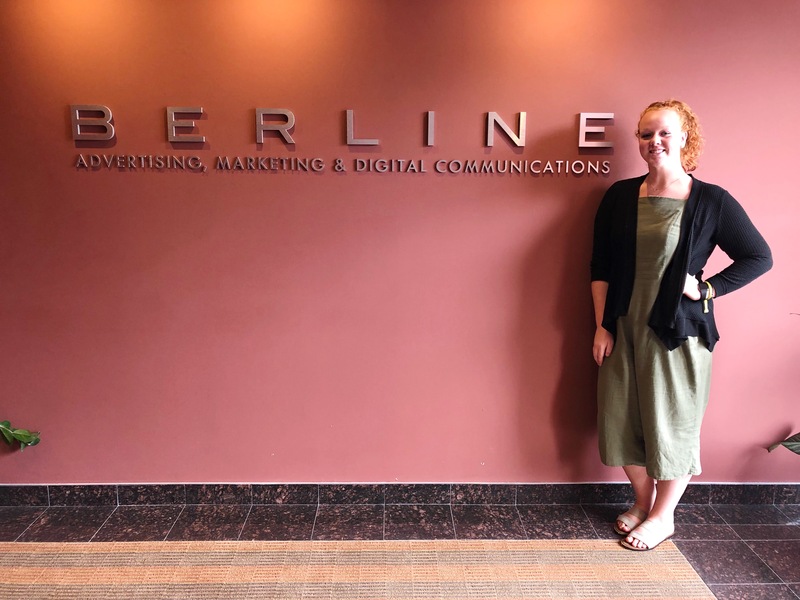 The most challenging aspect of my internship was learning all of the different terms that has to do with the agency or what our agency was doing with each client on certain projects The most exciting thing about my role was being trusted with more things as the time went on. This helped me have more confidence and assurance that I was doing the right thing. It even motivated me to come in everyday and see what new things I would be doing. In my internship they had me go into every department and I didn’t think I would learn as much as I did in the accounting department. In this department I started off by scanning invoices and gradually worked my way up through every step of billing whenever they needed help. Here I learned about the different companies we work with and how radio spots are bought. I’m so grateful for my experience with the accounting department as I thought I hated everything math and it turns out accounting isn’t too bad. The most meaningful experience I had was one Friday afternoon, not many people were in the office and the head of creative came up to talk to me. He started off by telling me how great of an intern I have been and continued into telling me about all of the great things he had heard about me as I had yet to work with him. This proved to me that no matter what or who you work with your reputation is everything and to be nice and respectful of everyone.